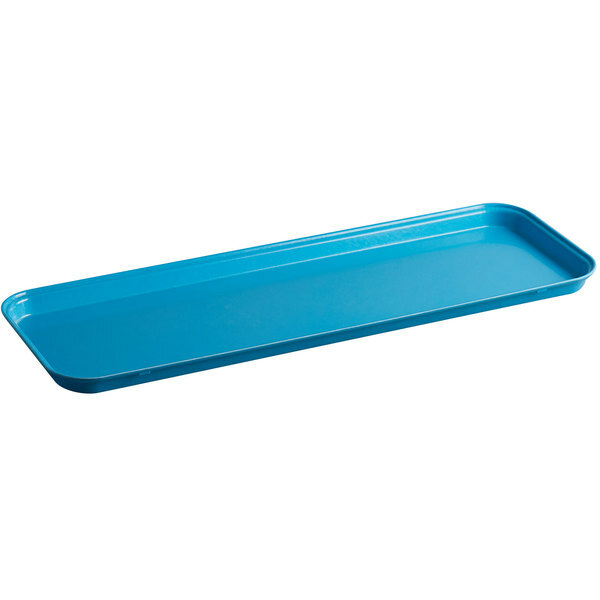 Attractively merchandise exquisite pastries, desserts, and baked goods with this Cambro 926MT142 9" x 26" blue fiberglass market tray. This fiberglass tray is the perfect way to display desserts at your bakery, supermarket, or diner. 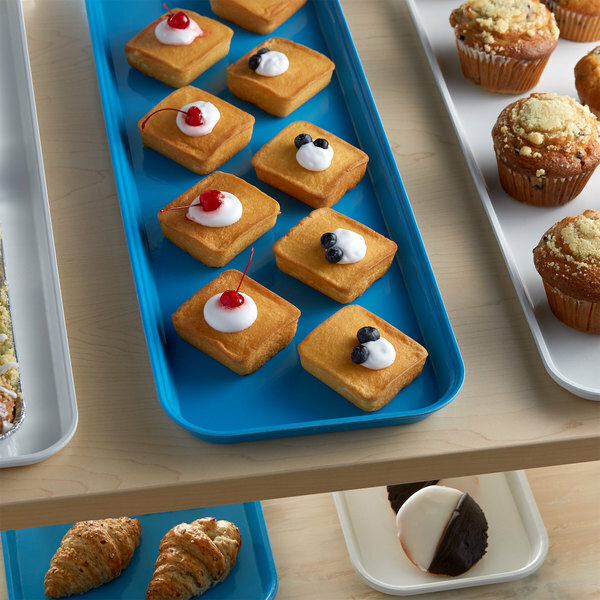 Great for arranging pastries side by side, this tray's bright blue background helps showcase your signature baked goods to easily catch customer's attention. 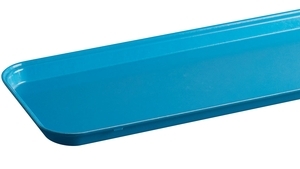 This tray is constructed of high-impact fiberglass, making it extremely durable and resistant to breaks. Its fiberglass design also resists stains and odors, and prevents the tray from oxidizing like traditional aluminum trays. 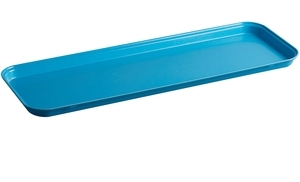 Due to its Dri-Stak stacking lug separators, this tray dries at a faster rate then plastic and aluminum market trays. 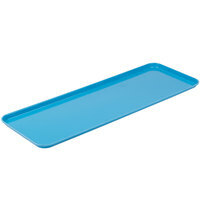 It also allows the trays to stack neatly on top of each other for simple and easy storage. The bright blue color of this tray adds a touch of sophistication to your display. It also blends into any setting and provides contrast with your pastries and baked goods, causing your offerings to seemingly pop off of the tray. What does the capacity amount indicate? The capacity indicates the liquid volume of the mold when it is filled to the brim. 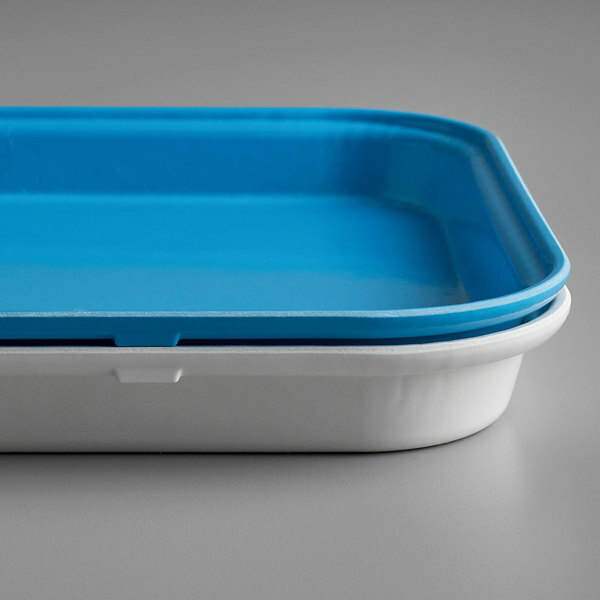 When using this mold with batters containing leavening agents, fill the mold with 60-70% of the total capacity.